The K Badu cocoa farm is situated at Pakyi 2, in the Atwima Kwanwoma District of the Ashanti Region of Ghana. The farm covers an area of about 100 acres. It serves as an avenue of employment for the local indigenes. As is well known, cocoa is a major export commodity, so cocoa farming is a viable business to venture into. The yield has been impressive so far, and plans are in place to increase production through effective spraying and application of proper improved agricultural methods. It is the vision of K Badu, to expand the cocoa production, and eventually incorporate other foods into the farming business. 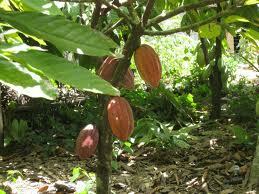 Other areas are being explored to facilitate the planting of more cocoa in the next few years. We believe that farming has a great potential in Ghana, and we all have a role to play in achieving this dream. That is why K Badu farms is taking the cocoa farming as a great step in the right direction. Copyright © 2019 K Badu Group of Companies. All Rights Reserved.